10G SFP+ modules with smaller power consumption. 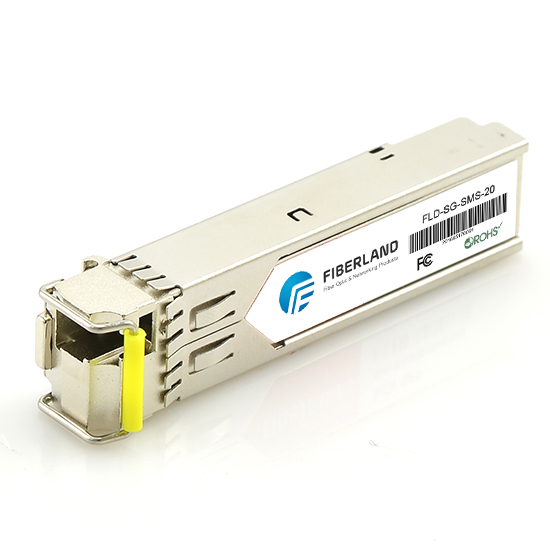 Fiberland SFP+ fiber optic module is dedicated towards the green transformation with lower power consumption and fewer pins. This transformation reduces the total power consumption of the transmission system and supports higher density panels to accommodate the increasing demand for bandwidth. The 10G SFP+ MSA allows the max power consumption of each module up to 1.5 watts without CDR (Clock and Data Recovery). However, compared to SFP+ MSA, the early XFP MSA fiber optic modules which have the same function as the SFP+ MSA consume 3.5 watts. Our products have several versions to cover 40km (ER) and 80km (ZR) transmission distance and to support a variety of communication protocols. For other types of fiber optic transceivers, please visit our website to obtain the detail information.